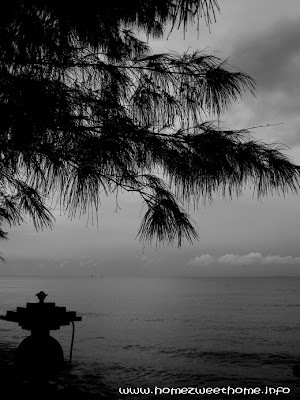 Captured from a restaurant in Indramayu (West Java, Indonesia) that has sea view. During our way to my husband's home town, we dropped by there for having a lunch. What a beautiful, silhouetted view. It's that dark during lunch or you just did some photo adjustment? BEAUTIFUL! perfectly serene... thanks for sharing, Lina..
by the way, do you mind checking out on The Charity Man?